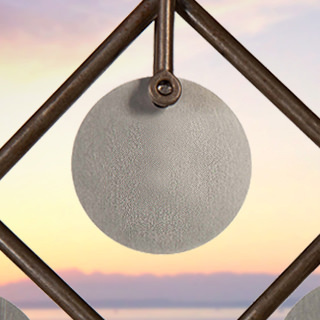 Make Pike Place Market History with your very own Market Charm! 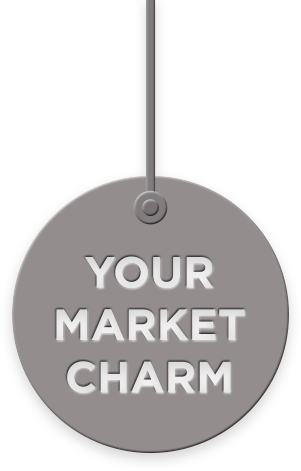 Add your personal message to a Market Charm or a “family” of multiple charms that will shine on the MarketFront. 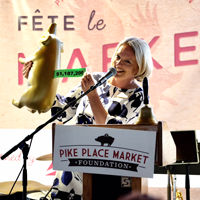 Join Billie the Piggy Bank on her path to the new Pike Place MarketFront. 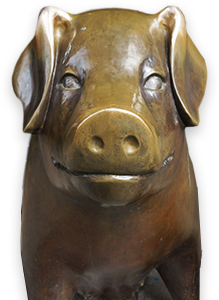 A once-in-a-lifetime opportunity to join the tradition of bronze pigs and hoofprints in the Market. Leave your family legacy on the new MarketFront. 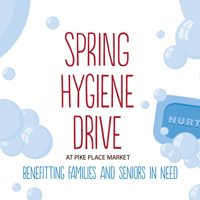 Support our growing Pike Place Market community! The Market is more than fresh fruit, fish and flowers, it’s a thriving, caring community that supports thousands of our neighbors in times of need. Care comes in the form of fresh food, warm meals, housing, medical services, and preschool for our youngest neighbors, too! Can’t decide what to inscribe? Choose this option to secure your naming opportunity. A staff member will follow-up with you to confirm your inscription. Questions about the Charm or Hoofprint? Check out our FAQ! You can personalize three Charms per transaction with this online tool. To order more than three Charms, you can either make multiple transactions using the same First and Last Name or click here to download this form. Your “family” of multiple charms will hang together on the MarketFront. 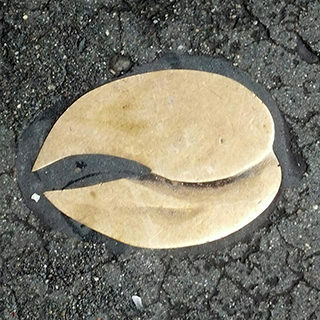 Hoofprints on Western Avenue are a minimum donation of $2,500. We also have a limited number of $5,000 Hoofprints available on the MarketFront Plaza, please contact us directly for more information 206-774-5243.